Everton fans hounded Sam Allardyce out of Goodison Park at the end of last season, so sick were they of his defensive mindset and the mind-numbing experience watching their team had become. Eleven games into the post-Allardyce era, the Toffees were back on the defensive, but no one will begrudge Marco Silva his approach in setting his side up to become the first side this season to shut out unbeaten Chelsea. 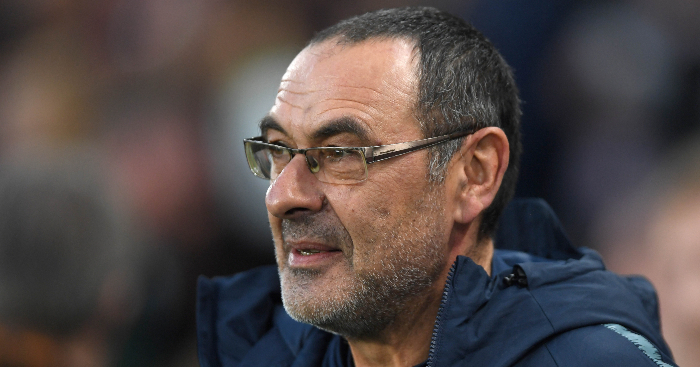 The stalemate saw Maurizio Sarri set a new record for the longest unbeaten start by a Premier League managerial newbie but that will act as little immediate consolation after the Italian saw his much-lauded masterplan thwarted for perhaps the first time this season following a display of defensive fortitude that demonstrated a different side to Silva’s Toffees. Since Silva’s appointment, the Everton boss has been at pains to demonstrate the contrast between his philosophy and that of his predecessor but no one would be more appreciative, albeit begrudgingly, than Allardyce of the Portuguese’s preparation and the players’ execution of a game plan designed primarily to defend their goal rather than attack their opponents’. One of the biggest differences already evident between this manager and the last has been his tactical flexibility, with Silva having already dabbled with a 4-3-3 before deciding a 4-3-2-1 was the way to go to get the best out of one of his greatest attacking threats, Gylfi Sigurdsson, With preservation more the order of the day in west London, Everton demonstrated a couple of new shapes, with a 4-4-2 initially thwarting Sarri’s side before Silva switched to a 4-5-1 as the hosts’ urgency became greater in the second half. Willian was the only player to create a chance for Chelsea in the first half against Everton. By that time, the primary task of Everton’s mission had been complete. Like every other manager to have faced Chelsea this season, Silva identified Jorginho as the key to Chelsea’s plan but unlike the others, the Everton boss was successful in plotting the prolific passer’s downfall. Jorginho found himself boxed in by Sigurdsson, Richarlison, Idrissa Gueye and Andre Gomes and with nowhere to turn, Chelsea’s holding midfielder turned in his most ineffective performance in a Chelsea shirt. In 64 minutes, he managed 60 touches and 50 passes – among his lowest averages for the season so far. Silva might argue Jorginho was lucky to last that long after escaping a red card for a lunge on Sigurdsson late in the first half. Of course, stopping Jorginho could have counted for nothing if Eden Hazard had been allowed to thrive as a consequence. But Silva’s systems served both needs. 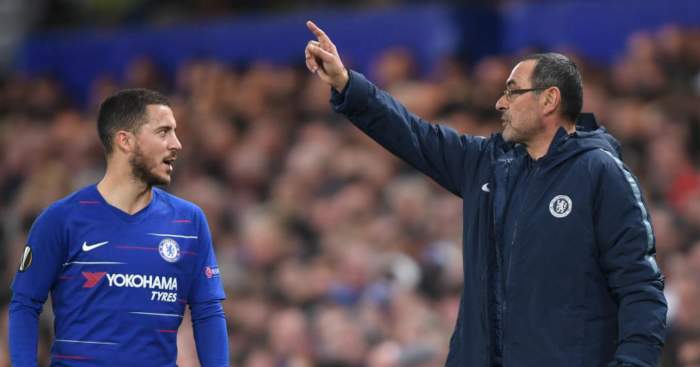 Hazard, who was back in Sarri’s side after the kind of lay-off he might have to get used to, was similarly ineffective by his own impeccable standards, with the Toffees restricting his involvement as well as any Chelsea opponent. Hazard had a joint-season-low of 71 touches in 90 minutes – the same number he was afforded by Liverpool at Stamford Bridge in September. But the Reds switched off once to allow Hazard the opening goal during their draw. The Blues made no such mistake, and Hazard was dragged deeper towards his own goal in an attempt to orchestrate the play as it become evident Jorginho was struggling. But with no room to prosper, Chelsea resorted to a more direct approach. That is not to say Chelsea did not have their chances. The closest they came was through full-back Marcos Alonso, who saw a sublimely-struck volley parried in the first half before an equally well-taken shot in the second period struck the base of Jordan Pickford’s post. 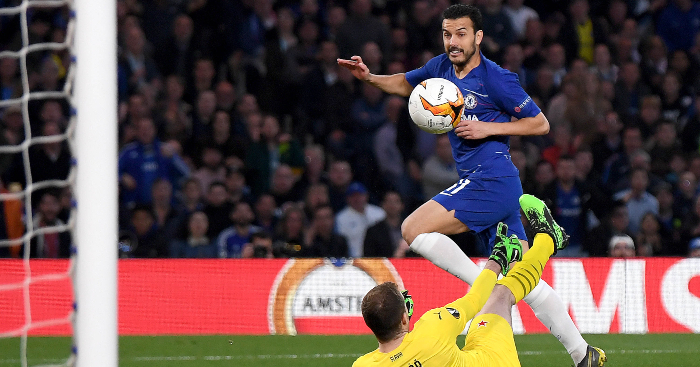 When Chelsea’s preference switched to a longer pass, the more conventional threat of Alvaro Morata was subdued by Yerry Mina upon his first start in the Premier League. With the Colombian in the back four, starting alongside Everton’s other summer recruits, this was a side with Silva’s stamp all over it. The manager now has two concerns, with Mina at the heart of both. The ex-Barcelona man will have given Silva a selection headache upon Kurt Zouma’s return after the international break but the Toffees boss has already discussed changing to a back three as a possible remedy. 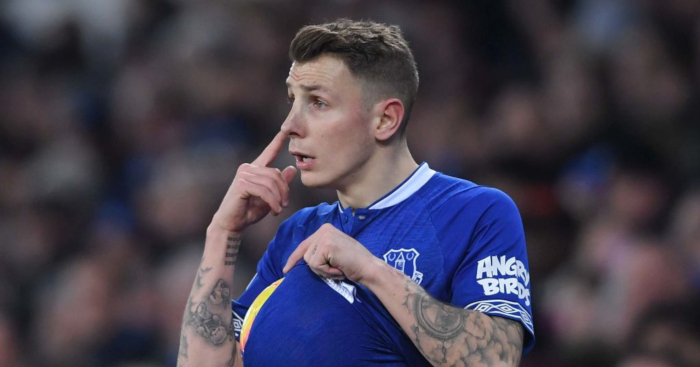 Such a switch could also help Everton find more of a blend between defence and attack against stern opposition, especially with Seamus Coleman and Lucas Digne willing runners up and down either flank. That balance was lacking somewhat at Stamford Bridge where the Toffees recorded the lowest number of touches, passes and shots on goal that they have managed all season, as well as their smallest share of possession. 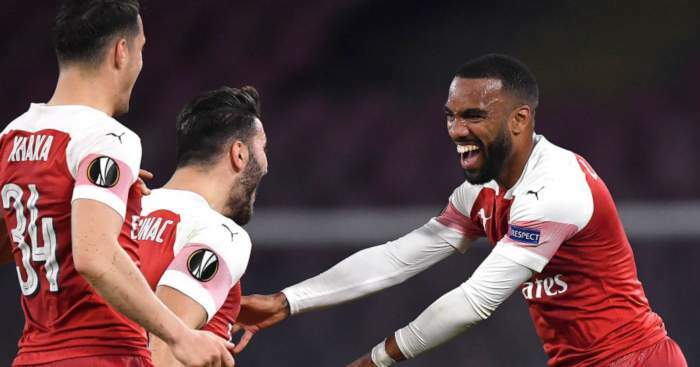 But at this early stage in his reign, Silva will focus far more on the positive facets of a hugely-encouraging performance, especially with a Merseyside derby at Anfield to come on December 1 before facing Man City and Spurs in successive weeks prior to Christmas. 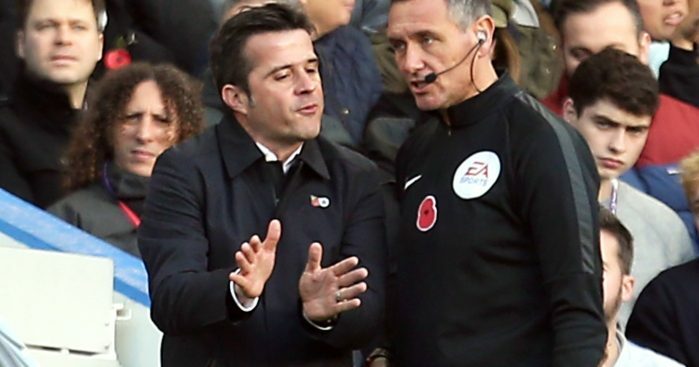 Silva’s Everton have already offered suggestions that their individual attacking quality can bloody the nose of the big boys, even if composure was lacking at key moments on Sunday. It is also now apparent they possess the resilience to take the punches too.